Familiar songs and melodies with the melody notated with chord symbols above the staff and pitch letter names below the staff. Lyrics are included. Each song also has a harmony part written out on the page across from the main melody.The CD has 3 tracks for every song:1. Full performance (melody, harmony, chord-strum and background2. Play-along with the harmony,chord-strum and accompaniment (no melody) 3. 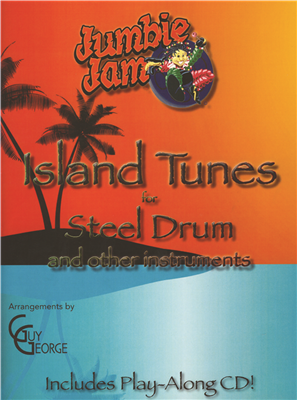 Play-along with the background accompaniment only (no melody, harmony nor chord-strum).